The Club's fleet of Elliot 7m keelboats will be used throughout the regatta. The yachts are identical placing the focus squarely on skipper and crew. 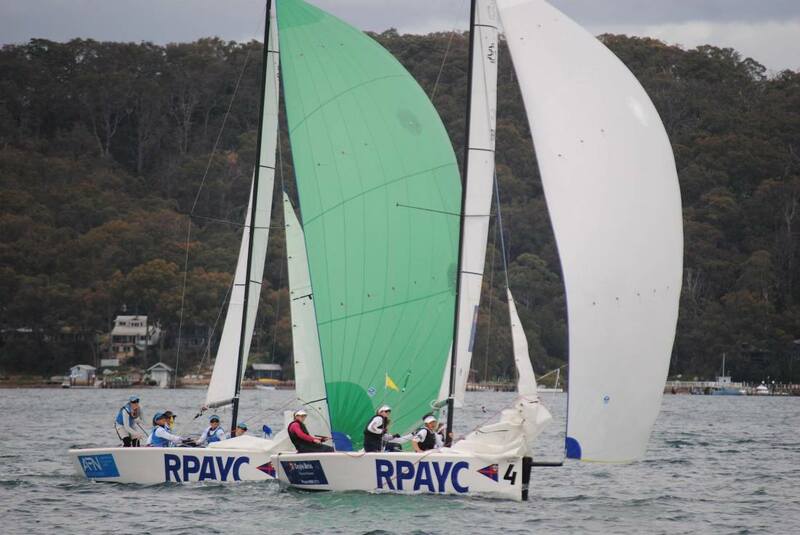 The RPAYC will be entering 3 teams from their renowned Youth Development Sailing Program. Alice Tarnawski, main-trimmer on Milly Bennett’s team is confident that sailing on their home waters will give them a strong home ground advantage but she is wary of the competition. There will be options for spectators to watch the races over the weekend. 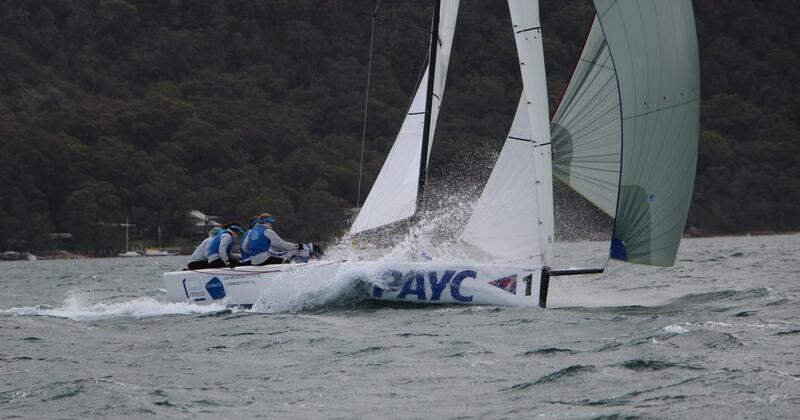 If you are interested in watching this event, contact the Club on 9998 3700 or email sailing@rpayc.com.au. 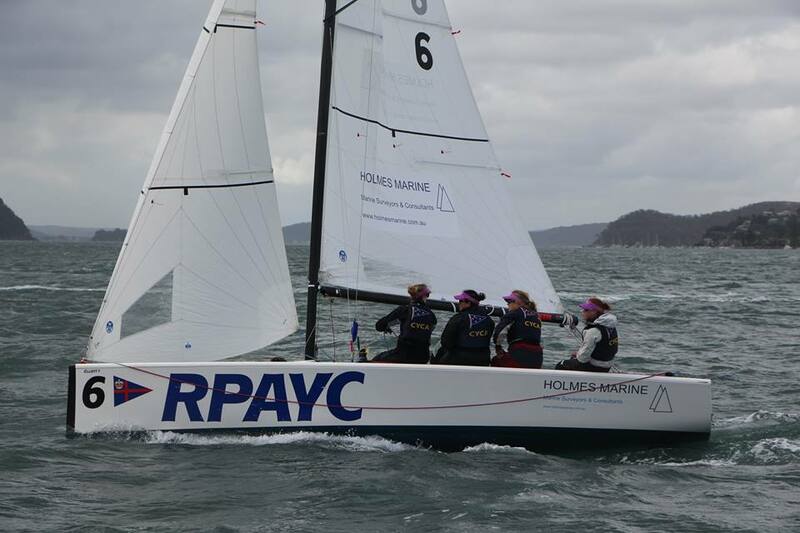 RPAYC’s Milly Bennett and her “MAXX Team” have handled the strong winds and choppy conditions to win 7 out of 7 races in the first day of the Australian Women’s Match Racing Championship. With wind gusts reaching upwards of 34 knots funnelling through Pittwater it made for a “challenging” day to say the least. Considering how “extreme” it may have been out there, Milly was very relaxed about her racing and has credited her team’s local knowledge which helped her team finish with an undefeated scorecard. “It was super windy, puffy and shifty, it was pretty extreme but it was a bit of fun. 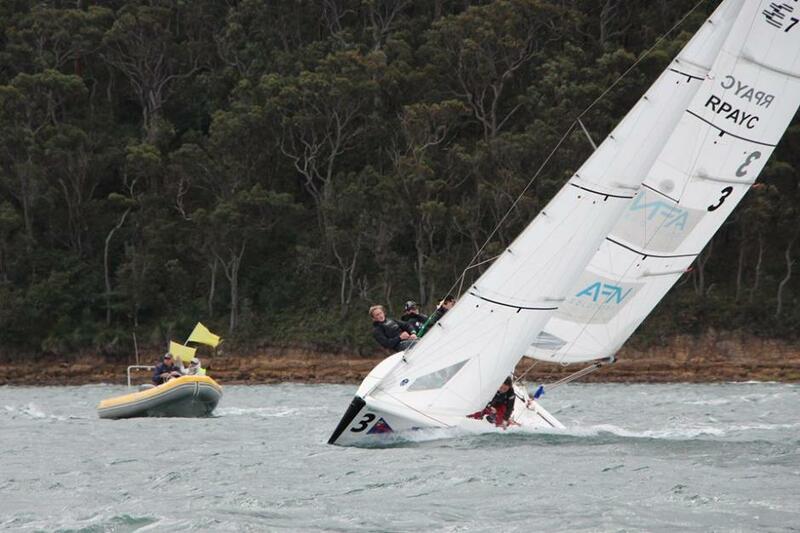 Pittwater doesn’t get that windy so we hadn’t had much training in these conditions but it was good to have the shifty sailing experience with our local knowledge which really helped us.” said Milly. 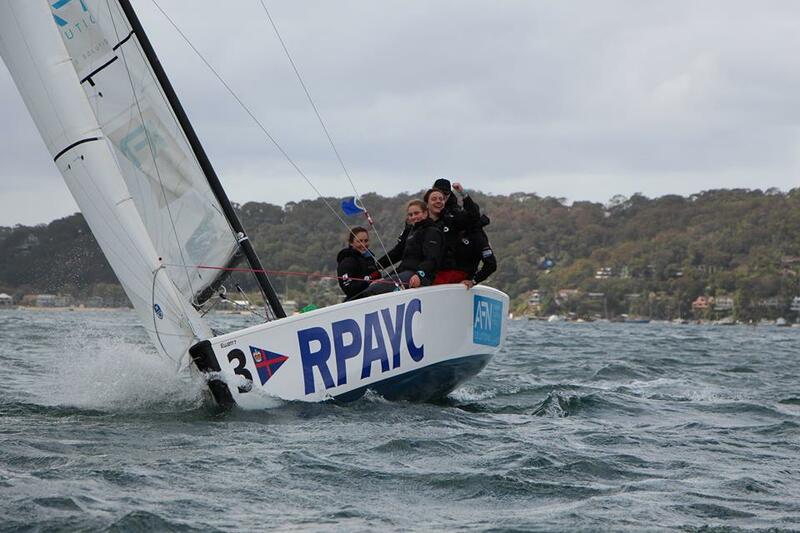 Fellow RPAYC sailors, Clare Costanzo (RPAYC) are right behind Milly with 5 wins and Sarah Parker (RPAYC) is tying third place on four wins with Lauren Gallaway from the Cruising Yacht Club of Australia. Coming an equal fourth position with Jessica Eastwell (SoPYC) is the young team from The Royal New Zealand Yacht Squadron. They shook off the nerves and raced extremely well for their first international regatta. The team’s skipper, Stephanie Kirkman was happy with her team’s result. “It was good today, we were very nervous at the beginning but then we got better and better while we were racing and thought we could get a few wins back. All and all it was a good day out on the water and can’t wait to do it again tomorrow.” Said Stephanie. The Race Management Team were very professional in handling the conditions. Denis Thompson & his team did a fantastic job getting in 7 flights with minimal hiccups. Tomorrow’s racing will be held in similar conditions. Milly is sitting high and dry and will go into the second day of racing with a good lead. 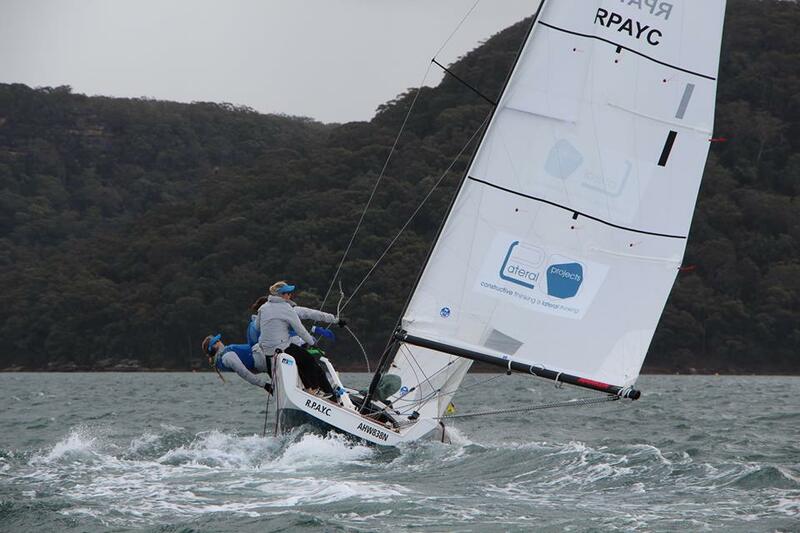 The RPAYC teams’ local knowledge has allowed them to adapt to the major change in conditions to yesterday’s racing to excel in the lighter conditions in the second day of racing in the Australian Women’s Match Racing Championships. Clare Costanzo (RPAYC) stepped it up a notch and almost sailed a flawless day claiming six out of seven races only losing to Lauren Galloway (CYCA.) Clare did achieve one key win over her rival and fellow RPAYC skipper, Milly Bennett. “It was an interesting race, it was good to have a close match up against a club sailor.” Said Clare. Yesterday’s racing was the first time Clare’s team have sailed together and today the team really put an emphasis on tactics and it proved very successful in the shifty conditions. “Yesterday was the first time we have sailed together and we got the communication side of things sorted to work on tactics today.” Said Clare. Milly’s team was a little frustrated with their loss to Clare due to an unforced error. The shifty south/ south east breeze made it difficult for the Race Officials with PRO Denis Thompson forced to make a few changes to the course with the wind shifts moving towards the south-east. Tom Vincent, Race Umpire found the racing to be even and all-round with all teams putting their focus on racing rather than sailing. The forecast for the final day of racing is looking to be a shifty one with the Bureau predicting a 40% chance of showers and the wind shifting from the south west to south to south east. Milly and Clare are placed first and second with only 2 points of separation. Jessica Eastwell racing downwind yesterday - Stephen Collopy photo, 2015. Photos by Stephen Collopy, 2015.